As a cabinet builder I ave ran into a lot of successful kitchens and unsuccessful kitchens. This one had a daring design to go with an island that was slanted to the rest of the kitchen. This is a smaller kitchen in Katy, TX. The custom cabinets and custom molding was installed in three days do to technical issues with the electrician. We had to use a ground level to make sure the island was perfectly diagonal to the rest of the cabinets. She later added the stools on the side hanger. Since the side hanger was so small we didn't have to sustain the granite with further reinforcement. The base of the counter top was stable enough for the stone not to crack. She was right down the road from our location in Katy, TX which made it easier for us to do the labor. This makes it cheaper on the customer as well. 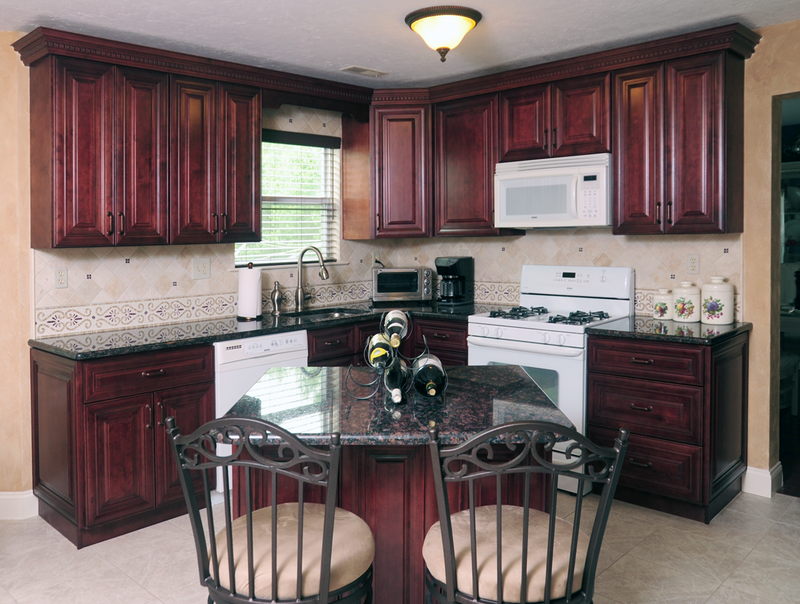 With time and precision we successfully completed these high end custom cabinets.